Researchers from Hebrew University in Jerusalem have discovered that when bacteria are killed by silver, the dead germs go on a killing spree against live germs. In essence, the dead bacteria act as sponge-like repositories for the silver, and then leach that silver into the rest of the colony, killing other nearby bacteria in a zombie-like chain reaction that continues until the entire colony is wiped out. In the Transmission Electron Microscope image from the study (below), you can see the dead bacteria filled with hundreds of tiny particles of silver. These dead, silver-laden microbes will go on to kill huge swathes of live microbes inside the colony they belong to. Most clinical researchers agree that silver kills bacteria in a three-fold manner. But what happens afterwards is what researchers had not realized, until now, thanks to brand new research from the Hebrew University at Jerusalem. You see, when silver comes into contact with a bacterium, silver ions begin attaching to the cell wall of the pathogen, releasing nascent oxygen, which in turn inactivates the pathogen through a process called catalytic oxidation. It’s similar to the way hydrogen peroxide works, i.e., a burst of oxygen is transferred electro-chemically from the silver to the pathogen, stunning and partially disabling it. Then, the catalytic oxidation causes a series of chemical changes to the cell wall of the pathogen. These chemical changes block the pathogen’s energy transfer and respiration systems. The pathogen is still alive at this point, but it’s like a ship at sea that’s lost its engines. Next, the silver ruptures the weakened cell wall of the bacterium, and is absorbed into it, at which point it damages the pathogen’s DNA, preventing it from replicating. Since the bacterium can no longer replicate, the infection can no longer spread. Finally, with all of this damage, the bacterium eventually dies. Thanks to brand new research from the Hebrew University of Jerusalem, it’s now known what happens after the silver kills the bacterium. According to the Israeli researchers, once a bacterium is killed by silver it acts like a sponge, continuing to attract and absorb tiny silver particles from its surroundings. And because the dead bacterium is part of a bacterial colony, the silver that’s been absorbed continues to kill other bacteria around it. The dead bacteria killed by the tiny silver particles “infect” the remaining live bacteria in the colony with the silver they’ve absorbed, thereby killing them as well. “To uncover this grisly mechanism, scientists first killed a sample of the bacterium Pseudomonas aeruginosa using a solution of silver nitrate (which works by releasing silver ions that can be absorbed by the bacteria – ED). “Using electron microscopy, the researchers imaged the dead bacteria and discovered what caused them to go on their killing spree. Reservoirs of silver nanoparticles had built up in their corpses, indicating that the dead bacteria act like sponges, soaking up silver as they die. The stored silver can then leach out to the environment, "especially if the environment contains other sponges for that silver," says chemist David Avnir of the Hebrew University of Jerusalem, the senior author of the new study. "In our case, the other sponge is a living bacterium." In other words, when exposed to silver, the bacteria soak up far more of it than what’s needed to actually kill them. Even after they're dead, the bacteria continue to attract and absorb tiny silver micro-particles. These dead bacterial cells act like little storage bins, full of submicroscopic particles of silver. And since bacteria live in colonies, other nearby bacteria then absorb the silver from the dead bacteria next to them as it gradually leaches out. As a result, the nearby live bacteria are likewise killed off. The process then spreads throughout the entire colony, like a domino effect, leaving nothing but dead microbes in its wake, thus abating infection and stopping the disease process in its tracks. 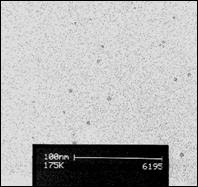 This is Why Tiny Silver Micro-Particles Rule! I believe the new clinical study discussed above clearly demonstrates the profound importance of having access to tiny silver micro-particles when using colloidal silver to help the body fight off an active infection. in size -- far too large to be effective. Indeed, while conventional colloidal silver brands can contain silver particles and clusters as large as 1,000 nm, a typical infectious microbe such as the one used in the clinical study discussed above (i.e., Pseudomonas aeruginosa) can also be as large as 1,000 nm. And in such a case, of course, the infectious microorganisms would not be able to absorb the silver particles, because they’re essentially the same size as the microbe itself. Such large silver particles would, of course, attach to a pathogen and ultimately kill it. 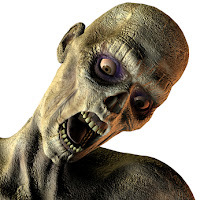 But it could not be absorbed into the pathogen to create the reservoir of tiny silver particles that stimulates the “zombie effect” witnessed by the Hebrew University researchers. 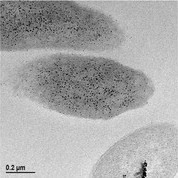 Even if the silver particles were only 100 nm in size (i.e., the upper size limit of what can be considered a silver nanoparticle), a bacterium that was 1,000 nm in size could only absorb a mere few of them at most, which would not be enough to continue killing surrounding microbes afterwards. But tiny silver micro-particles such as those produced by a Micro-Particle Colloidal Silver Generator from The Silver Edge are as small as .8 nm, which is to say, a fraction of a single nanometer. So infectious microbes that are 1,000 nm in size could potentially absorb hundreds and hundreds of these tiny silver micro-particles each, and then spread them throughout the colony killing other microbes in a growing chain reaction, until the entire colony is dead. 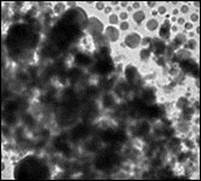 See the above micrograph from the clinical study, in which the tiny submicroscopic silver particles can be seen as dark granules inside the dead oval-shaped bacteria, and you’ll understand exactly what I’m talking about. In short, the smaller the silver particles are the more silver the infectious microbes can absorb, like sponges, and then leach to nearby live bacteria in the same colony. This in turn increases the speed and efficiency at which entire bacterial colonies can be killed off, and the infectious disease process can be abated. But with larger silver particles, this process is not nearly as efficient and effective, if at all. This is another important reason why silver micro-particles are so vastly superior to conventional colloidal silver particles. When you have the ability to produce tiny, submicroscopic silver particles as low as .8 nm in size, infectious microbes can absorb vast multitudes more of them. And as they die, they then leach those tiny silver micro-particles into the rest of the colony, staunching the infectious process faster and more effectively than could ever happen with conventional-sized silver particles. It’s an amazing chain reaction process that until now, clinical researchers were completely unaware of! A Micro-Particle Colloidal Silver Generator from The Silver Edge allows you to make your own high-quality micro-particle colloidal silver for less than 36 cents a quart. Plus, it’s now known that these tiny silver micro-particles are able to kill off entire colonies of pathogens with far greater effectiveness than conventional colloidal silver particles, because of the “zombie effect” described above. Save a whopping $100 on a brand new Micro-Particle Colloidal Silver Generator, click here. Copyright 2015 | Life & Health Research Group, LLC | PO Box 1239 | Peoria AZ 85380-1239 | All rights reserved.